Words create a reality and not just describe it. In some cases they are the result of a theoretical conceptualization, sometimes they are meticulously formulated by public relations agency and in other times they are fixed in a talking sheet. And well, dear brothers and sisters we are rifted. Prof. Sammy Samooha determined that there are five key rifts which divide the Israeli society; and that the rift has become a significant component in our identity. In this article, I wish to point out the contradictions in the teaching of civics, especially since we chose the rift as a point of origin for depicting the Israeli reality (or shaping it). Later on I will link these contradictions to the goals of the Israeli curriculum and would like to call for a new thinking about the words we use in the curriculum, our classes and in tests within the Israeli context – Jewish and Arab. After all, words are as important as actions. In his book The Time of the ''Post'': Nationalism and the Politics of Knowledge in Israel professor Uri Ram points to the development of the Israeli sociology from institutional patterns that expressed the Zionist national perception to the critical pattern which expressed the emergence of an anti-establishment protest up to the post–modernist pattern, post-colonial and post-Marxist patterns since the 1990's. The principal consolidator of the critical approach was the sociologist – Professor Sammy Samooha from the University of Haifa. Samooha who studied at the University of California during the heyday of the new left chose to interpret the Israeli society within an approach which was consolidating at that period under the title of 'pluralism' whose main interest was post-colonial heterogeneous societies comprised from different ethno-cultural units living together under the same state. 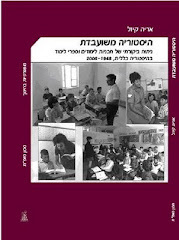 Samooha's approach was adopted by those designing different curricula in Israel in the field of civics and was implemented as a theoretical possibility in order to explain the existence of the state of Israel as a Jewish country and as the Jewish People's state in which there are diverse minorities, different communities and different histories. The problem which I would like to point out here is that this approach has significantly responsible for creating the perception of Israel as a divided state, and fueled both Jews and Arabs – mainly radicals – to consider themselves as fighting over the memory resources of this place as well as over the right over this place. I see this fight as natural and even democratic; choosing the rift and the how it's viewed as the principal format of instruction and as a mirror to the students displaying the reasoning for the country not being politically nationally and otherwise unified – actually undermines the goals of the civics curriculum. Choosing to conceptualize the rift and signaling out its expressions as the source of the Israeli's society disintegration, holds one of the obstacles for fulfilling the notion of coexisting under the concept of a nation-state for example. As a nation-state such as Israel has always faced and will always have to face minority's argument on it not being a democracy. Some of the minority's arguments against the existence of a nation-state country rely on the fact that it is impossible to maintain the idea of equality within a nation-state. It is a weighty argument that led the state of Israel to find several justifications, under international law, for the fulfillment of the Jewish people's right for self-determination. Given, many of us – Jews, certainly – accept these arguments and even hold on to them; there is now an extensive space – a living and breathing one – in which it is necessary to function as Jews and Arabs in one state, and one of them is the ability of joint inclusion, the ability to coexist as well as existential challenges in all possible fields. The joint inclusion of both populations – Jews and Arabs – should not be a mere formality, it should be significant and daily; it comes forth from every direction asking fundamental questions: how? In which ways? Under which terminology? In which language? In which spaces? These are existential questions for Jews as well as Arabs; this is assuming that they are interested in having a Joint Israelism in which Jews are not willing to renounce their right for self-determination and are not willing to forgo Israel as being a Jewish national-state. And assuming the Arabs wish and need to sustain a national identity which they are not asked to relinquish, but one they must respect and to give them room for expression. On the one hand, at the beginning of every year the state is presented as the realization of an ideal, as Jewish and democratic, as expressing the fundamental right of the Jewish people for self-determination. While on the other hand, along the year the disintegration of said political unity is described – as an ideal and a reality, using the rift theory which is a profound expression of breaking, cutting, friction and division. And in that point during the year students ask themselves who is responsible for the disintegration, for the division? If integrity is presented as ideal, then the rift is presented as its collapse. The rift has nothing positive, neither verbal nor essential. It represents negativity. And throughout the teaching and learning processes Jewish students get a message that might be very problematic: the state could have been perfect (or nearly perfect) if there were no rifts. The problem with this message (which of course is not overt) is also on a democratic-universal level because it contains the element of uniformity that given not legitimacy to pluralism. Also from a concrete-particular level within the Israeli context: the one rifting is guilty of the rift since he undermines perfection. Given the students young age, and given they live in a loud society that also has some racist lesions which become more severe, some of whom (and maybe too many) come to the conclusion that the cause of the rift needs to be uprooted. As aforementioned, this was not Sammy Samooha's objective in conceptualizing the rift; but in my preoccupied opinion, this is the result of the wrong choice, to continue and describe the Israeli reality and its potential in this way. It is clear today that there are two major camps in Israel who make immediate political gains from the description of a crisis and in my opinion they even enjoy it: the radical extremists from both sides of the Israeli society, the Jewish as well as the Arab. And both use the same prolonged, political and daily description in order to fight with each other and not in order to illustrate that we actually live here together. One part, desiring to fulfil his desire to suffocate the minority, to discriminate it and to exclude it; while the other part wishing to prove how undemocratic the country is, how racist and apartheidist it is and how much it needs to be changed; meaning, undermining its Jewishness. Once again, the allied extremists make a collation move that has a shared narrative – negating the mutual existence in this place. The Israeli politicians, it must be said, play with the rift every single day, especially the extremists. They use a terminology that exacerbates the contradictions, deepens the hatred, is racist and seeks to persuade us of one thing – togetherness is impossible. Each side encourages its community to believe in this impossibility, using all the media at hand. The image presented by the media is of the members of the Israeli Knesset who perpetuate the separatism and encourage pedagogy of mutual fear, suspicion and mistrusts. The Israeli students are exposed to these voices and believe in the rift, after all, it is right in front of them .Especially the believe that unfortunately it cannot be mended, that there is no purpose in coexistence and in its future potential. I would try to sharpen this point and clarify that the narrative negating the existence of the state of Israel as a legitimate Jewish state, tarnishing it as an apartheid state, has become, for over a decade, the central narrative amongst quite a few Arab-Palestinian populations, who embraced the pan-Arabic narrative, created by Azmi Bishara. This discourse wishes to instill in the Arab citizens of Israel the negative aspects of the country and chooses to ignore (sometimes intentionally) the major advantages of Israel as a democratic state as well as it positive undertakings. This discourse has become extremely predominant and choosing the description of the rifts in our instruction of civics, evidently serves it. How? It enables the Palestinian citizens of Israel to clearly show how Jews think about them: as a problem, as dividing, as rifting. It is today, in fact for a few years, an additional significant factor, as fueling the Palestinization processes of Arabs in Israel and its justifications which can be seen in the De-legitimation campaign carried out in the Arab public in Israel against integration in some sort of national/civil service that is meant to serve the Arab community. On the other hand, on the Jewish side – choosing the rift terminology serves the exact same purpose: the desire of part of the Jews to instill a culture of concern, fear and mistrust towards the Arab population; which is expressed in attempts of anti-democratic legislation attempting to restrict minorities' freedom of expression and association. Thus, a distorted use of the rift theory may lead to a dangerous conclusion according to which the minority is an existential threat, a fifth column and even a cancer in the nation's body. I do not wish to argue here that teachers promote this discourse in their classes. I know many of them make a balanced and correct use of the slit theory, and supplement it with many elements about the possibility of coexistence. Within that context, where is the civics curriculum? I would like to argue that the goals of our curriculum are phrased in a too neutral language in all matters related to the coexistence of Jews and Arabs in the country. The civics teaching supervision documents correctly determine that "civic education is a necessary process in a democratic society, which links citizenship and education is essential and ethical", it was argued in these documents that "when you do not prepare a person for life in a democratic society, there is a risk of alienation, indifference, egoism and hostility towards the political establishment as well as opposing the democratic ideas and values" (page 6). In the goals for teaching-learning it is said that alongside the recognition of Israel as a Jewish state, teacher will strive to "nurture a shared civic Israeli identity alongside maintaining the unique national identity of the diverse groups within the Israeli society" as well as "recognizing pluralism and tolerance as the fundamental values of the democratic society", "nurturing tolerance towards others, openness and mutual respect for diverse individuals and groups, encouraging the discourse between them and recognizing the importance of settling disputes peacefully. (Page 7). 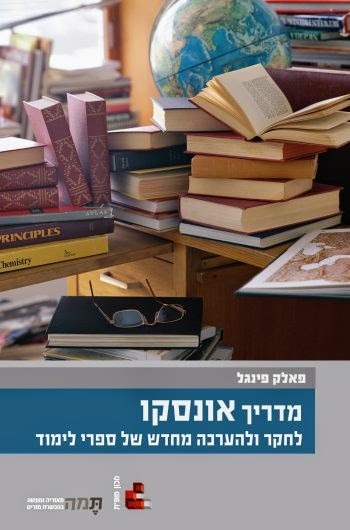 Additionally, the book Being Citizens in Israel is presented in the Ministry of Education's documents, as "not presenting one viewpoint, and does not establish an unequivocal position regarding the proper or worthy interpretation of events and situations; but rather the consideration in displaying multiple positions in the book was for students to know and understand that in the sociopolitical reality may be, simultaneously, various aspects for the same phenomenon and there are no absolute truths" (page 9). The phrasings are so advanced; they seemingly contain an approach of multiple narratives and truths, justification for pluralism and rejection of dogmatism. However in my opinion the goals need to be phrased in a manner that will confront head-on the challenge of Jews and Arab coexistence in the Jewish state. A thorough examination of the goals shows they are multiple and inclusive, but also neutral. The principle of pluralism contains 7 goals some of them significant such as "students will understand that the principle of pluralism means recognizing the diversity of individuals and groups in the country etc." As to tolerance – 4 goals some of them very important of course, such as "students will understand that tolerance stems from recognizing human dignity as a value and in his right to be different from others." In regards to consensus – 9 goals amongst them "students will understand that a condition for living together in the country and for the fulfilment of the principle of pluralism is a wide consensus among the individuals and groups in society – among themselves on the rules of the game." The goals are phrased in a generalist manner and refrain from national or concrete affinity to the complex Israeli reality. The explanation for this is clear – linking the goals regarding pluralism, tolerance and consensus to the challenging political reality in Israel – could have made them seemingly "political". However in my opinion the entire field of civics is political, because it touches the daily life in Israel and this life is political and not neutral. The Brazilian pedagogue Paulo Freire who was exiled from his homeland by the military regime and wrote his important book Pedagogy of the oppressed claimed that the education system creates linguistic neutrality using so called euphemism which actually perpetuates through the same neutrality the reality and its status quo. In my opinion, nowadays we need to work towards a new thinking about the teaching of civics in Israel, especially with regards to the shared lives of the citizens. We need to adopt a terminology which tears the rifts apart, and to set forth – not just as an act of one brave teacher or another – a terminology that will relate to the contribution of multiplicity, the abundance in multiplicity (even the multiplicity of narratives), the possible abundance in a shared life that consists of building and innovation of institutes, means, originality and creativity. 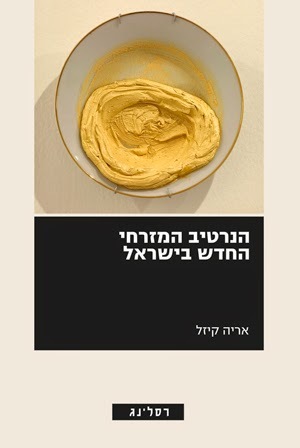 We need to adopt pedagogy of sharing we can turn to the Jewish philosopher, Emmanuel Levinas, who advocated discovering the other not as a project but as an existential need, as responsibility. In this responsibility, which is an expression of humanity, the other's face reach out to me, and in them my, our and your humanity is embodies. Paraphrasing Levinas we can substitute the rift for responsibility. Responsibility not just for the shared life as a type of coexistence which centers on tolerance (and teaches students that tolerance comes from the word "suffering" to "suffer") but as responsibility for the other and also for his possibility – Jew and Arab – to be himself. In my opinion, it is not just the responsibility of the Jews but also of Arabs. I do not accept the position that it’s the majority's job, but also that of the minority. The minority also needs to separate itself from pedagogy of fear, mistrust, concern; it also needs to resuscitate the responsibility for what is shared, and must reject the victim's narrative to which it was subjected and to which it subjected itself, overzealously at times. Adopting a civil terminology based on Freire's action of political dialogue and also on living with a responsibility towards the other (because of his otherness and not just as a minority and majority) could create a platform for a more abundant coexistence. 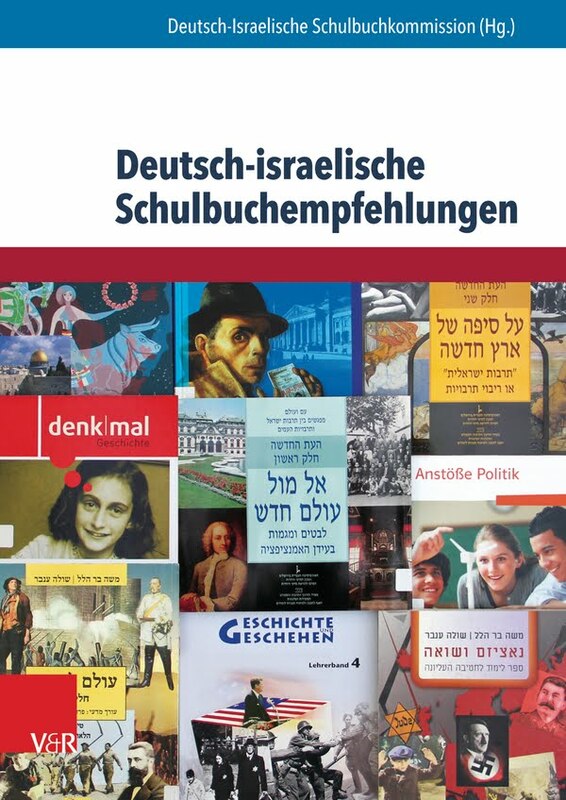 One of the main problems of civics instruction in Israel, which is so different from the instruction of civics in Germany for example, that it draws too closely on political science and the need to provide ample space to the formal aspects of the governmental structure in Israel, sometimes, at the expense of issues related to the country's citizens. Therefore, this framework sharpens also the perception of the rift. Nowadays it is possible to incorporate in the instruction of civics the economic subject which has been excluded. Most official documents refer to social and political indices, but there is an exclusion of economic solidarity as a sphere which enables partnership and responsibility in the face of poverty and discrimination and in favor of prosperity and success. The economic arena, especially in the past years, has become a place where collaborative coalitions can grow, benefiting all sectors of the Israeli society. To students who are learning to become civics teachers, who teach the subject of the rift, I suggest the substitution of the rift factors with the possibilities of partnership, the expressions of the rift with the challenges of neighborliness, the history of the rift with the possible future of shared living, not as a worn-out coexistence, but as the fulfilment of humanity and responsibility towards a vibrant democracy in which multiplicity is human diversity rather than fewer opportunities tribally or nationally sponsored. I call upon a new way of thinking, and for the reliance on interesting conceptualizations which provided to us today and in the past few years by the academy; believing that civics lessons are still the most lively and vibrant space to examine political issues, yet at the same time for providing an optimistic horizon for creativity and originality, and not just for historic or narrative fixation.